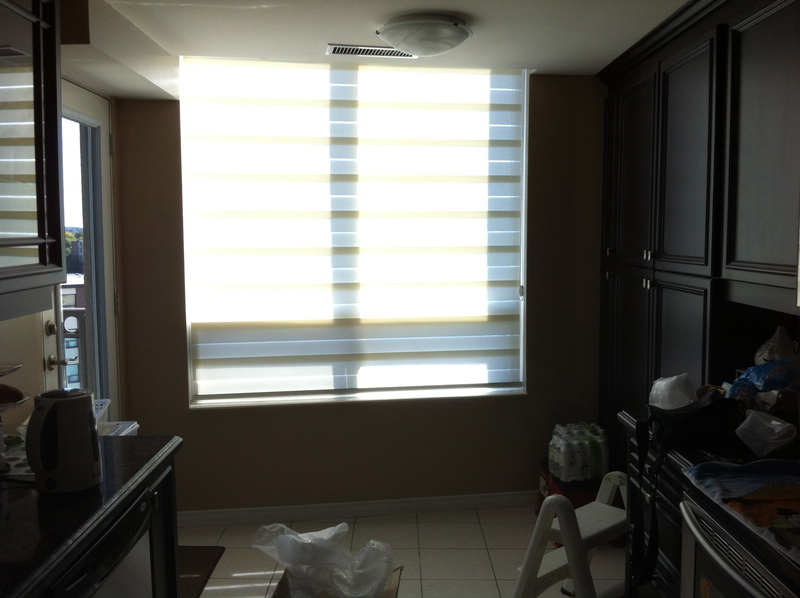 By choosing the right window covering for your condo apartment, the blinds instantly upgrades the look and feel of the space. 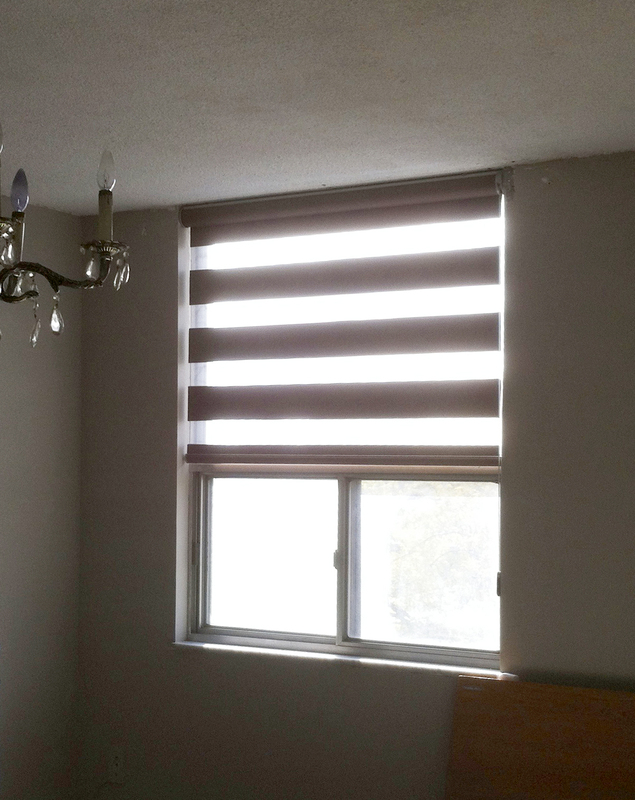 Like this one recent customer told us after seeing the finished look with our Trendy Blinds Twin Metal Combi blinds and Sun Shut Combi Blinds installed: “My condo looks like a million dollars!”. 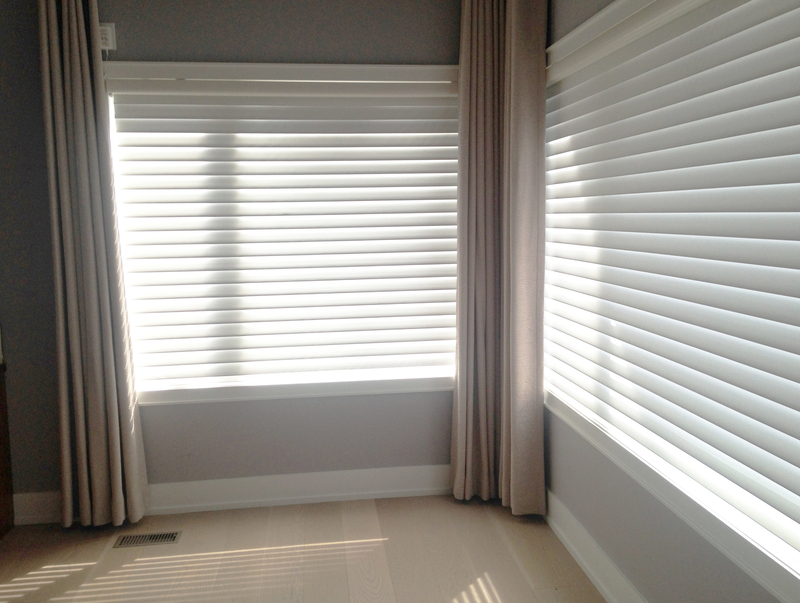 The great thing about it was that the price was lower than buying ordinary boring blinds or rollers from the big box stores or national blinds stores. Start transforming your condo or house. Come visit our store – over 200 product displays in store. 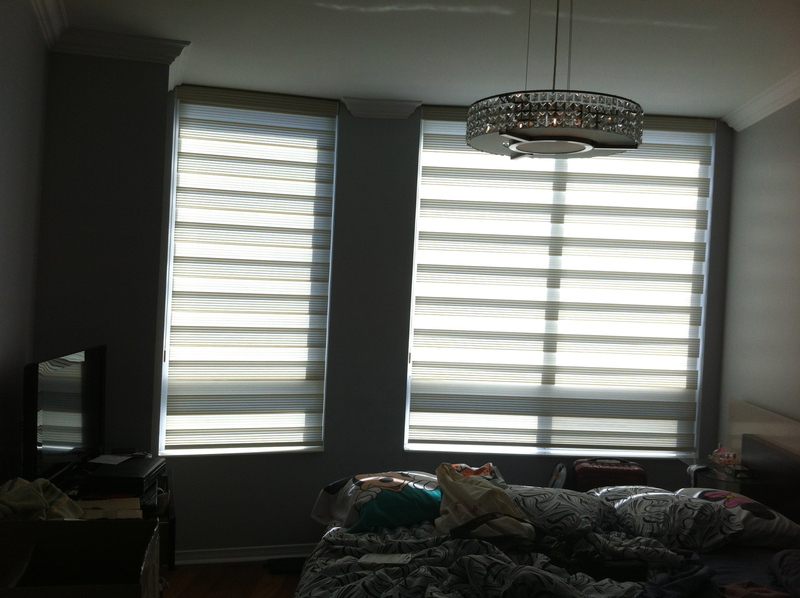 Our Trendy Blinds client decided to add a more interesting and trendy touch to their condo windows when the downsized from a house to their condo penthouse unit. 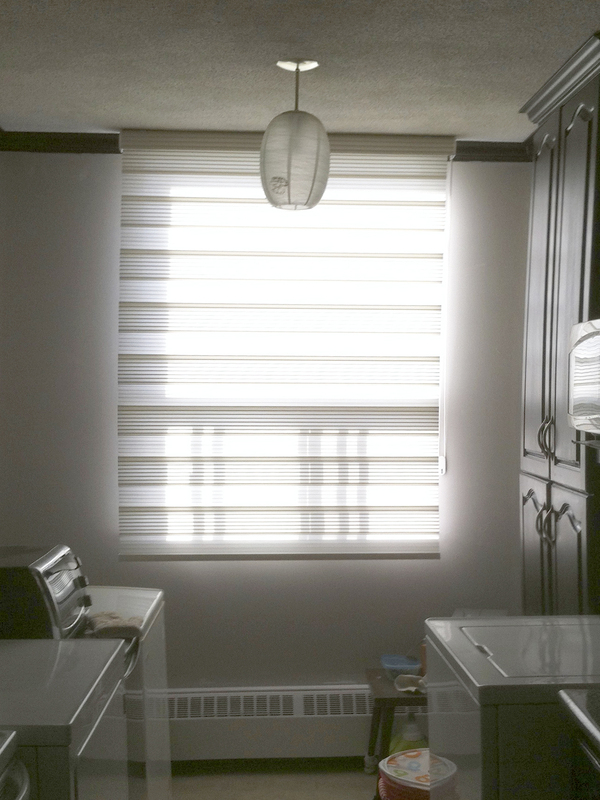 For the kitchen and master bedroom they decided to use our sleek, flat fabric dual combi blind system that can be adjusted to open and shut for outside viewing or privacy. Semi-opaque fabric choice allows filtered light in to provide a comfortable glowing ambience during the day and give visual privacy at night. For their grown up daughter’s room they chose our pleated combi II product with a semi-opaque metallic white fabric that matches well with the mirror lighting in this room and gives a subtle “bling, bling” look for her to impress her friends. 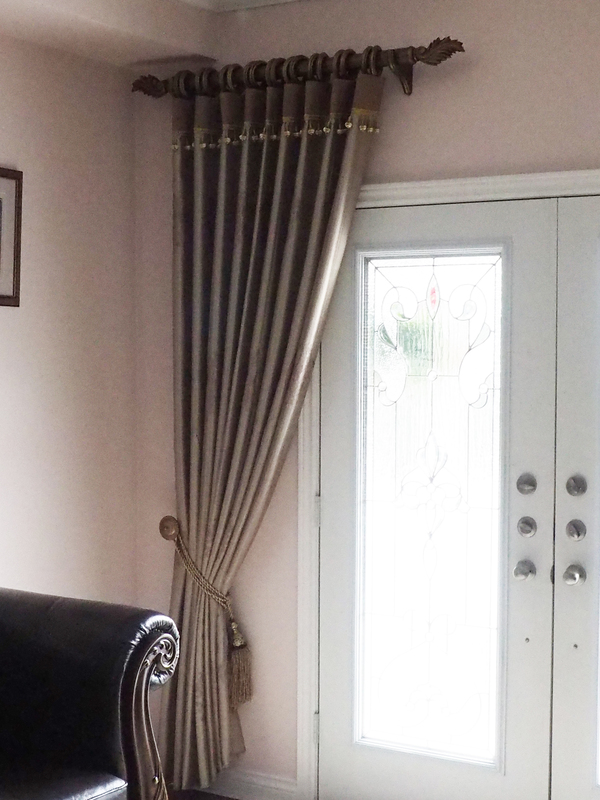 For the living room, the inspired choice of selecting our Lindsay style semi-custom drapery in satin lining gave a warmer yet formal feel to the room without the heavy look of blackout drapery. 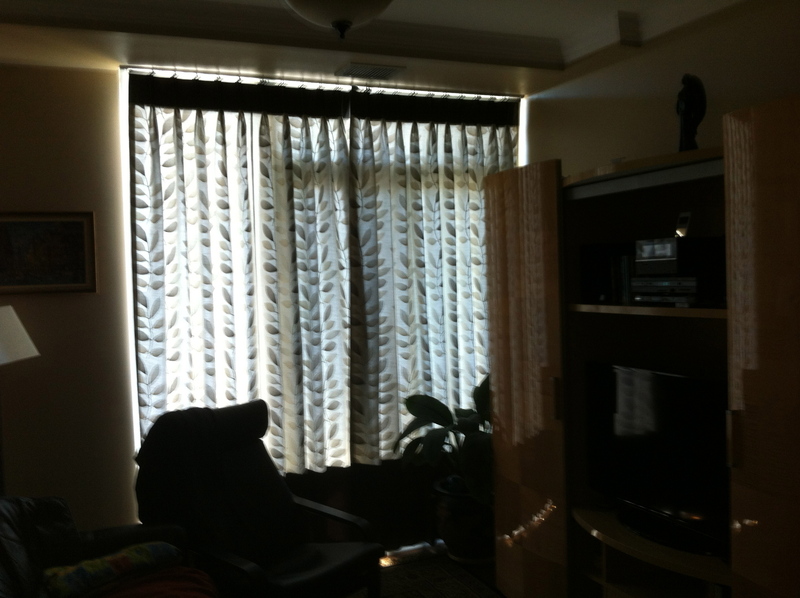 Daytime sunlight can softly filter into the room.